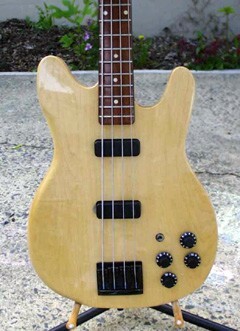 This bass is another of the the 200-series economy line-up. A fine instrument with a contoured top edge. 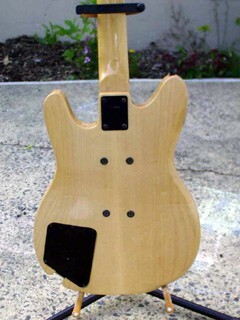 Two pickups, four control knobs (two tone, two volume) bound fingerboard. Neck attached to body (no neck-thru).